Being in the home inspection business in Wichita for some time now, we at Hoffman Home Inspections have seen a lot of homes. We’ve prepared hundreds of inspection reports for both buyers and sellers. Since we’ve completed so many inspections on the buyer’s side of things, we have a bit of insight about what type of things put the brakes on a sale. As a seller, we know that’s the last thing you want to happen. When you get an interested buyer, you don’t want any inspection issues to delay the process. That’s why we’ve prepared this comprehensive list of items to look out for before listing your home. If you make sure the following areas are in order, then you will save yourself headaches later – not to mention time, energy, and money. Ensure the exterior of the home has no visible damage. Repair cracked walkway, porch steps, driveway, or patio. Inspect all windows for leakage. Caulk as necessary. Make sure tree branches are a safe distance from the house, driveway, and walkway. Trim shrubs and spruce up your garden if you have one. Examine the eaves, soffits, and fascia to ensure no damage has occurred. Ensure gutters and downspouts have been cleaned and are draining properly. Inspect the ground around your foundation to be sure the sloping is away from your home. Examine and repair as needed any problems with the chimney, skylights, or roof shingles. Check out all drains for adequate drain flow. Make sure water heater is installed properly, has been flushed recently, and isn’t damaged. Examine all faucets and fixtures to ensure proper installation. Check all the light fixtures and replace any lights that are out. Make sure all ceiling fans are operational. Ensure you have covers on all outlets. Be sure your smoke detectors and carbon monoxide detector are operational and less than 10 years old. Replace your furnace filter with a new one. Clean your condenser unit outdoors, removing all debris. Have an HVAC technician give your unit an inspection and interior cleaning. Check your windows from the inside, ensuring all necessary hardware is in place and screens are not damaged. Replace any missing hardware and damaged screens. Open and close all your doors to see if they close and lock properly. Make sure the seal is not damaged. Ensure your garage door is working smoothly. Inspect your garage for damage to the garage floor or walls. Repair as needed. Check out all the appliances for good operating condition. Repair any issues. Clean out your dryer vent. On the day of the inspection, make sure your house is neat and orderly. You will want to have it cleaned thoroughly as well. Making a good impression is just as important as having everything in working order. If you have a septic system that isn’t easily identifiable, make a map of where it’s located for the inspector. If you have pets, place them in a secure kennel until the inspection is complete. Many people leave during the process and let the inspectors do their job. 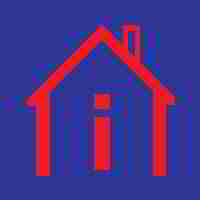 At Hoffman Home Inspections, we want to make it easier for you to sell your home. By being prepared, your inspection will go smoothly. By taking care of inspection items in advance, you save hassles later, and, more importantly, you will be able to get the price you want for your home. Are you ready for your inspection? Connect with us when you are.